Like many people in the digital age, Richard Wilson wondered whether he needed a new printer, but unlike most, he also wondered whether it was worth spending $2-million. “The whole point was that we wanted to do something different than everyone else,” says Mr. Wilson, founder and president of Agnora, a company in Collingwood, Ont. His seven-year-old company manufactures giant panes of architectural glass. It’s the kind of glass you see in office towers, condos, hotels and major buildings such as museums and airports. Richard Wilson, president and founder of Agnora, located in Collingwood, Ont. Why indeed, Mr. Wilson wondered. “We fabricate the largest glass in North America, anywhere from 100 to 300 inches [2.54 metres to nearly eight metres],” he says. His company, which has grown to about 70 people, competes for big construction contracts against overseas firms. “They may be cheaper sometimes, but then you add in transportation costs and shipping time to get the glass to buildings in North America, and we become competitive,” Mr. Wilson says. 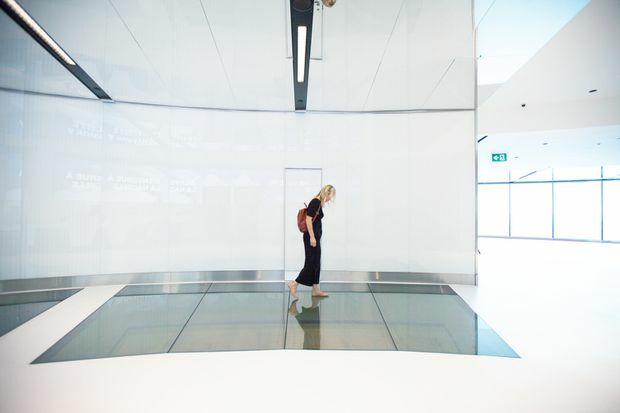 Agnora created a walkable glass floor and 150 digitally printed interior wall panels for the remodeled lookout level of the CN Tower in Toronto. Each large panel of glass costs “in the tens of thousands of dollars,” he adds, though putting a price on an individual order “is like asking someone at random, how much to paint a house.” They’re all different. The competitiveness and differentiation are where the printer comes in. Agnora had to consider investing in a 2-D printer that etches designs in ceramic ink right onto the giant panes of glass – company logos, artwork, really anything the creative mind can come up with. “Whatever you could print on your printer at home we can put onto glass,” Mr. Wilson says, except that it can be the size of a football first down. Wander downtown in any leading-edge city today and you’re bound to see buildings with high-quality prints etched right into the glass. Four years ago, Mr. Wilson figured he ought to do a cost-benefit analysis to determine if it would be worth having Agnora spring for the printer. By many conventional measures, it wasn’t, he says. “When we did the math and looked at it, it didn’t make sense. If you looked at the ‘through-put’ – how much you would have to print, or put through, for it to pay for itself, it just wouldn’t, given the business we had at the time,” Mr. Wilson explains. An operator, right, works with the room-sized DipTech printer that Agnora purchased to print on glass. More and more, designers and architects are using vast swaths of ceramic printed glass in their projects. It may not seem so – and for a while he wondered himself – but despite the cost-benefit challenges, investing in leading-edge digital technology was a rational and ultimately astute business decision, Mr. Wilson says. “We found that we may not make money with it for a while, but it can get us business that we otherwise wouldn’t get,” he says. Multiply every $100 by many thousands for the work on all the glass palaces going up across North America and you get the idea – shelling out millions for the printer isn’t a problem, it’s a feature. At the DeBruce Center at the University of Kansas, Agnora was contracted to laminate and print a 13-panel glass mural depicting the history of basketball. It’s important to look at the hard costs of a leading-edge tech investment before diving into the purchase, says Jason MacFarlane, head of the MaRS Discovery District’s Advanced Manufacturing Cluster in Toronto. Mr. Wilson was also wise to consider the potential opportunities, even if the potential seemed less precise at the outset than the costs. “I would argue right off the bat that his cost-benefit analysis should look at access to new markets and larger customers," says Mr. MacFarlane, who advises tech startups. “You certainly don’t want to invest in technology just for technology’s sake. But there are lots of different reasons. New technology could give you a cost advantage or a product advantage – in this case, it’s the opportunity to grow the business,” Mr. MacFarlane says. “There are times when it’s to your advantage to go with your gut,” says Yolande Chan, professor of IT management and associate dean at the Smith School of Business at Queen’s University in Kingston. 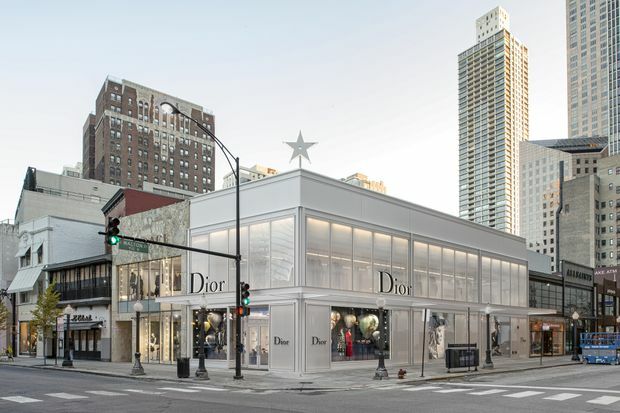 An exterior curtainwall was created for the Christian Dior flagship store in Chicago. Agnora printed the 29 insulated glass units with a white pattern. Still, nothing substitutes for due diligence and research, she adds. “You can use your gut to send you in a direction and then test your hypothesis with actual numbers and facts,” Dr. Chan says. In addition to a simple cost analysis, companies considering big tech upgrades should also look at other factors – what competitors are doing, whether the tech will be supplanted quickly, whether there are other areas to upgrade that are more important to the particular business, she says. Mr. Wilson believes that in the end, one reason the investment in the costly printer was right is because it’s consistent with his company’s values – it’s important to be forward-looking to attract talented workers. He takes pride in the fact that his plant provides workers with a gym and free therapeutic massages. and he’s committed to never laying off workers – new technology is another way to keep people motivated, he says. Is he worried that, like most everyone who buys a printer, he’ll discover that the ink costs even more than the printer? “No, ceramic printers aren’t like that,” Mr. Wilson says.